Marlborough ward is an exciting ward caring for patients with Gastroenterology or Hepatology conditions. It is a 31 bedded ward, and is led by a passionate nurse consultant team, who helped the ward win the team of the year in 2015. The ward team is supported by 3 CNS teams; the Hepatology CNS team, the Inflammatory Bowel Team (IBD) and the Nutritional CNS team. The ward receives excellent feedback from their patient group. The Endoscopy unit employs 67 staff of all grades and responsibilities who form a strong cohesive team. They serve 15,000 patients per year undergoing various procedures, and they continue to meet all national standards and guidelines. The team is trained in specialist therapeutic procedures including RFA and EMR to name a few. Marlborough ward is a busy, fast paced ward dealing with a wide variety of medical conditions which leads to a vast skill base for all the nursing staff; supported with ongoing education which is tailored to the individual needs of each nurse. 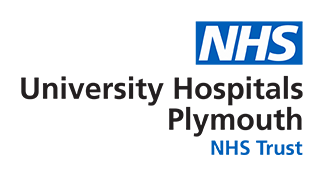 The unit has recently been awarded full JAG accreditation for the second consecutive occasions which recognises the hard work of all the team in reaching a high standard of care for our patients. The staff have the opportunity of ongoing education, both GIN based as well as in house block training.